Marketers use deep links to send users to a specific location within an app. When combined with a messaging solution, deep links can be used effectively to increase retention and user engagement. For example, let’s say that an app sends a push notification to users notifying them about a new feature within the app. Including this deep link within the message allows marketers to send users directly to the new feature in the app. This ultimately saves the user time and the headache of trying to find the feature on their own, while also improving usability. At Appyness, we’ve used deep links, in combination with in-app messages and push notifications, for several clients to help boost app usage and engagement. For example, for an app in the utility space, we used feature-based messaging, with deep links and push notifications, to target a group of power free users to further boost app usage. This program alone helped boost the free to paid conversion rate by nearly 100%, and increased app usage from this qualified group users exponentially. For messaging, our preferred solution is Localytics. However, mistakes happen, and there are some things that marketers might want to avoid when incorporating deep links into their mobile marketing strategy. Luckily, our friends at Adjust have put together a quick “Deep linking do's and don'ts: How to get the most out of deep links” article to help. In this article, Adjust gives numerous examples of how deep linking can be beneficial, while also helping marketers understand that deep links can be abused or create problems within an app. For example, it is important to not forget about deep links when updating an app, because they can be a bit more difficult to redirect than a web link. If an app page is removed without taking the deep link into consideration, this will lead users to a blank page, creating a negative user experience. 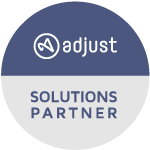 Here at Appyness, it is our goal to not only drive installs for our clients, but to also retain their users. That is why we utilize deep linking to not only improve the user’s experience, but to also increase user engagement. Contact us today and let us help you grow.